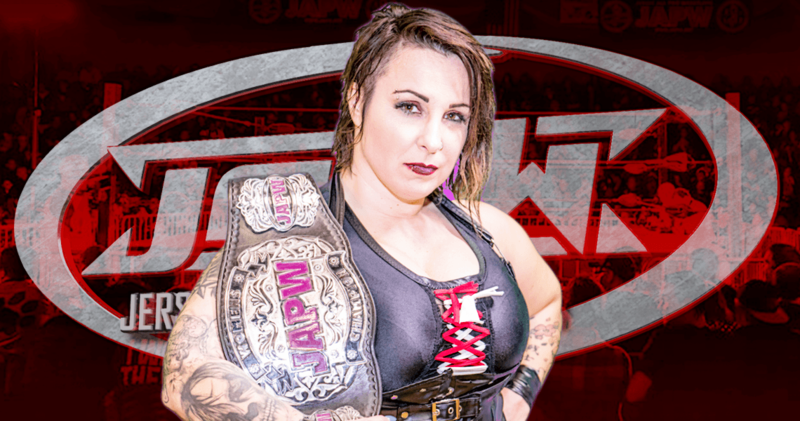 LuFisto defeated Katred, Penelope Ford, and Gabby Ortiz on October 21, 2017 in Rahway, NJ to win the JAPW Women’s Championship. 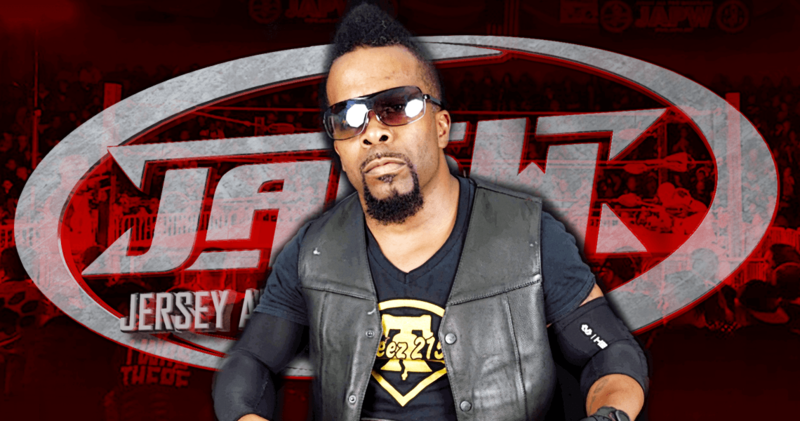 Blk Jeez defeated the “New Age Punisher” B-Boy on November 12, 2016 in Rahway, NJ to become the JAPW Heavyweight Champion. 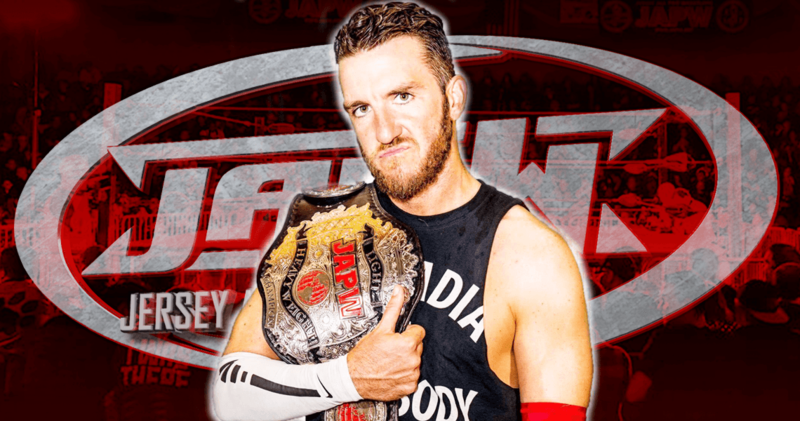 Archadia defeated Azrieal, Pinkie Sanchez, JT Dunn, Johnny Silver, Conor Claxton, Joey Janela and “2 Hot” Steve Scott to become the JAPW Light Heavyweight Champion on November 12, 2016 in Rahway, NJ. defeated Lio Rush on May 7, 2017 in Ridgefield Park, NJ at Violence X Suffering. defeated Jonathan Gresham on October 21, 2017 in Rahway, NJ. 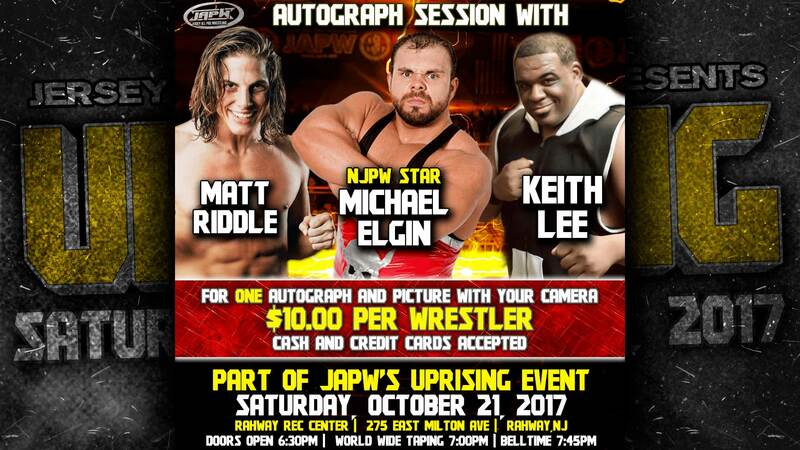 10/21 Autograph Signing with Michael Elgin, Matt Riddle, and Keith Lee! 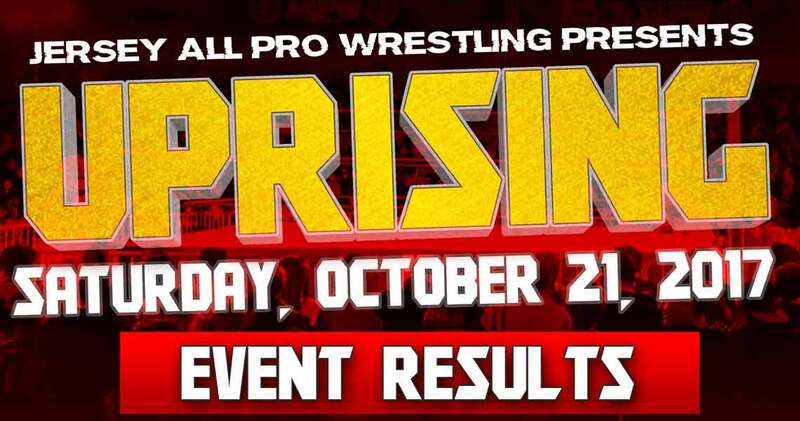 Jersey All Pro Wrestling is pleased to announce that we will be holding a special autograph session with NJPW star Michael Elgin, Matt Riddle, and Keith Lee on Saturday, October 21st at “Uprising” in Rahway, NJ. 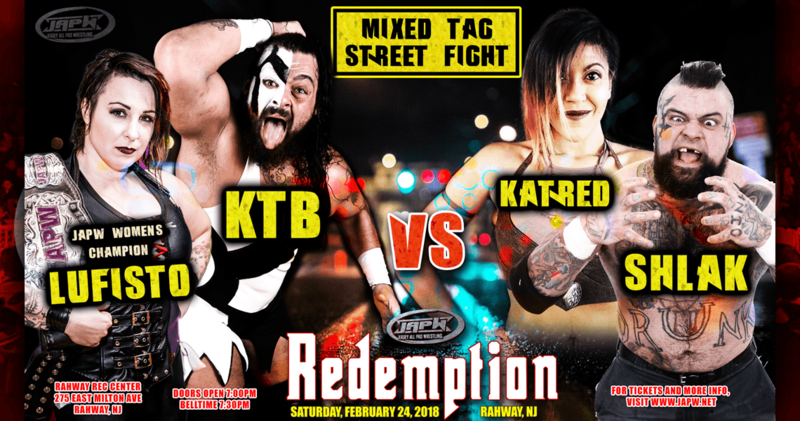 Each wrestler is ONLY $10.00 for one autograph AND photo with your own camera. Fans will be given an 8×11 photo of the wrestler(s) they choose. 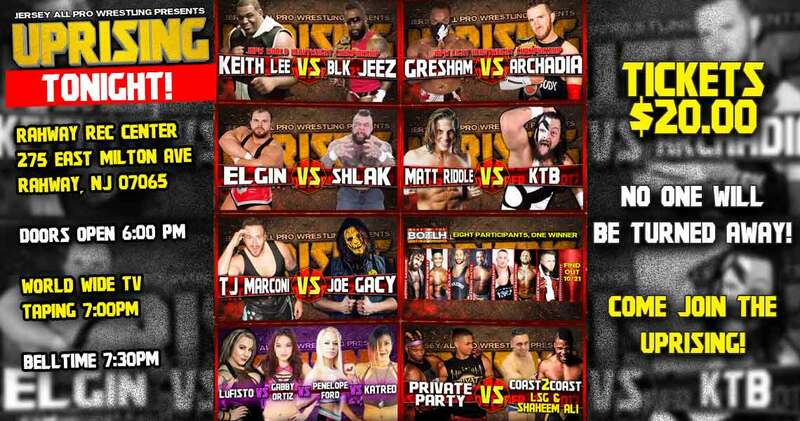 Reserve your autograph(s) now by emailing japwvideo@aol.com so we can have your folder ready on October 21st. All reservation payments will be required to pay on October 21st when you pick up your folder. If you have any questions regarding the autograph session feel free to email japwvideo@aol.com.